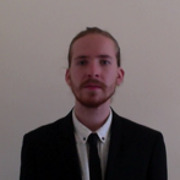 Hi, I'm Conor, a modern languages tutor living in London. I usually teach Spanish, Portuguese, and English as a Foreign Language. I love the opportunities that learning a foreign language can bring us; it opens up a whole new world of experiences, allowing us to find books, art and culture that we'd never imagined. It also gives us the ability to have meaningful conversations with people from all over the world, overcoming our differences and encouraging us to see things from another point of view. My approach is largely conversational, focusing mainly on improving your speaking skills so that listening, reading and writing naturally become more effortless. Whether you're a complete beginner looking to utter your first 'Hola! ', or a non-native English speaker who wants to fine-tune your language abilities to unlock the next step in your career, I'm certain we'll be able to progress rapidly together. While living in São Paulo, Brazil on my year abroad I worked as an English as a Foreign Language teacher for professionals. I taught small classes of one or two students, using the Callan Method course to encourage and measure progress. Since graduating from Cambridge, I have started working in London as a Spanish tutor, in addition to working as a face-to-face interpreter of Portuguese.